More than 200 Longhorn cattle found emaciated on a Texas ranch and seized in an overnight raid in February are now ready to be adopted, the Humane Society of North Texas (HSNT) announced Monday. "We love longhorns," said Cassie Lackey of the Humane Society of North Texas. "It's just the heart of Texas." 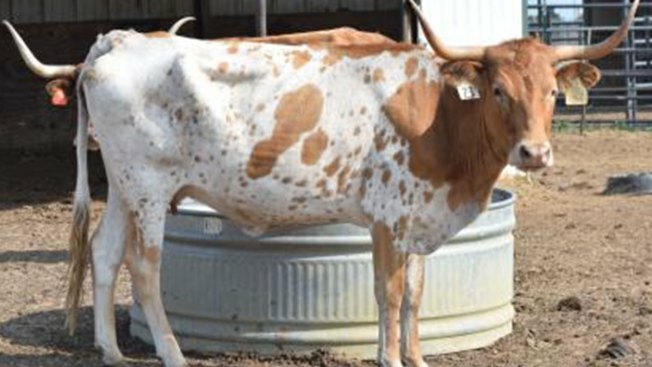 The animal rights organization nursed the severely malnourished longhorn and longhorn crosses back to health and is hoping to help them find permanent homes. "It's done our hearts good to see them come back from almost death's door," Lackey said. "They wouldn't even come within 6-feet of us when we took them into custody, so to have them walking around us, it's impressive." The Humane Society said it has 20 bulls, 13 steers, 63 heifers, 87 cows and 29 calves available for adoption. However, the group notes that none of the cattle are registered and the Humane Society does not warrant that the cattle are a specific breed. The group said all the animals have been vaccinated and dewormed, and only intends to adopt them to "individuals who agree to keep the animals for the remainder of their natural lives and not sell the cattle for slaughter." The Hill County Sheriff's Department seized over 300 cattle, including a 3-day-old calf, from the ranch outside Waco after authorities received a tip reporting malnourished and abused cattle on the property. At least 17 animals were found dead on the property and several others had to be euthanized, the Human Society said. "I have to choose to find the good in all of this," Lackey said looking out at a pasture of the first 50 or so cattle up for adoption. "The good is that ranchers, farmers, families, are going to be able to adopt a longhor where they might not otherwise be able to do so." 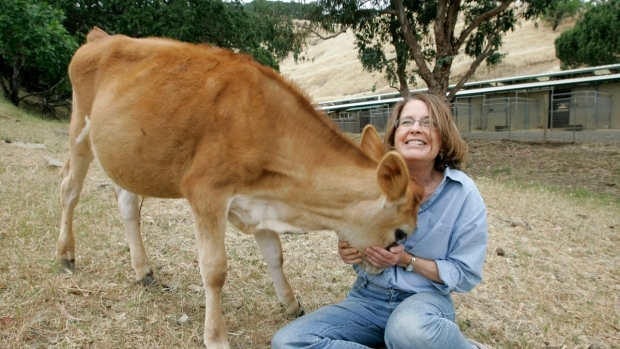 The herd was turned over to the Humane Society, which provided veterinary care and a temporary home for the animals to rehabiliate. A judge later award the Humane Society custody of the animals. Approximately 50 of the cattle are currently being held at the Humane Society's ranch in Joshua. You can view some of the animals that are currently up for adoption by clicking here. For more information on the adoption process, click here.